HomeFood and HealthAre High Protein Diets Your Secret To Successful Weight Loss? Are High Protein Diets Your Secret To Successful Weight Loss? Do High Protein Diets Reduce Fat And Preserve Muscle? Are high protein diets your secret to healthy weight loss? There are lots of diets out there – high fat, low fat, Paleolithic, blood type, exotic juices, magic pills and potions. But recently, high protein diets are getting a lot of press. The word is that they preserve muscle mass and preferentially decrease fat mass. It’s the fat – not the pounds – that causes most of the health problems. Muscle burns more calories than fat, so preserving muscle mass helps keep your metabolic rate high without dangerous herbs or stimulants – and keeping your metabolic rate high helps prevent both the plateau and yo-yo (weight regain) characteristic of so many diets. 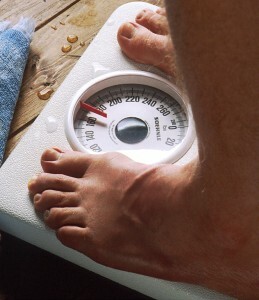 When you lose fat and retain muscle you are reshaping your body – and that’s why most people are dieting to begin with. So let’s look more carefully at the recent study that has been generating all the headlines (Pasiakos et al, The FASEB Journal, 27: 3837-3847, 2013). One group was assigned a diet containing the RDA for protein (about 14% of calories in this study design). In the RDA protein group carbohydrate was 56% of calories, and fat was 30% of calories. In the other two groups the carbohydrate and fat content of the diets was decreased proportionally. Weight loss (7 pounds in 21 days) was the same on all 3 diets. The high protein (28% and 42%) diets caused almost 2X more fat loss (5 pounds versus 2.8 pounds) than the diet supplying the RDA amount of protein. The high protein (28% and 42%) diets caused 2X less muscle loss (2.1 pounds versus 4.2 pounds) than the diet supplying the RDA amount of protein. In case you didn’t notice, there was no difference in overall results between the 28% (2X the RDA) and 42% (3X the RDA) diets. The con is fairly obvious. The participants in this study were all young, healthy and were not seriously overweight. If this were the only study of this type one might seriously question whether the results were applicable to middle aged, overweight coach potatoes. However, there have been several other studies with older, more overweight volunteers that have come to the same conclusion – namely that high protein diets preserve muscle mass and enhance fat loss. The value of this study is that it defines for the first time the upper limit for how much protein is required to preserve muscle mass in a weight loss regimen. 28% of calories is sufficient, and there appear to be no benefit from increasing protein further. I would add the caveat that there are studies suggesting that protein requirements for preserving muscle mass may be greater in adults 50 and older. 1) Forget the high fat diets, low fat diets, pills and potions. High protein diets (~2X the RDA or 28% of calories) do appear to be the safest, most effective way to preserve muscle mass and enhance fat loss in a weight loss regimen. 2) That’s not a lot of protein, by the way. The average American consumes almost 2X the RDA for protein on a daily basis. However, it is significantly more protein than the average American consumes when they are trying to lose weight. Salads and carrot sticks are great diet foods, but they don’t contain much protein. 3) Higher protein intake does not appear to offer any additional benefit – at least in young adults. 4) Not all high protein diets are created equal. What some people call high protein diets are laden with saturated fats or devoid of carbohydrate. The diet in this study, which is what I recommend, had 43% healthy carbohydrates and 30% healthy fats. 5) These diets were designed to give 7 pounds of weight loss in 21 days – which is what the experts recommend. There are diets out there promising faster weight loss but they severely restrict calories and/or rely heavily on stimulants, they do not preserve muscle mass, and they often are not safe. In addition they are usually temporary. I do not recommend them. 6) This level of protein intake is safe for almost everyone. The major exception would be people with kidney disease, who should always check with their doctor before increasing protein intake. The only other caveat is that protein metabolism creates a lot of nitrogenous waste, so you should drink plenty of water to flush that waste out of your system. But, water is always a good idea. 7) The high protein diets minimized, but did not completely prevent, muscle loss. Other studies suggest that adding the amino acid leucine to a high protein diet can give 100% retention of muscle mass in a weight loss regimen – but that’s another story for another day. One: I expect you meant “couch potatoes” under the heading of Pros and Cons. Right?! Two: I always question the use of the word”protein”. 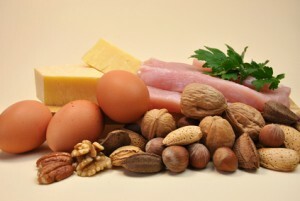 Since most of us are NOT vegetarian (and I know that you are) I assume that various combos of grains, legumes, etc etc, as well as eggs, and (for many) cheeses and other milk products, are included when you use the word “protein”. Is that right? For omnivores (like me) it might (or might not!) be important to clarify that: But I think that most people, when “protein” is discussed, think of meat. You are absolutely correct. Protein can come from vegetable sources as well as animal sources. If you want to get a high protein diet from vegetable protein it just requires a bit more planning or use of well designed supplements because many vegetable proteins are incomplete by themselves and their is often less protein per serving. on several of your posts. Several of them are rife with spelling issues and I in finding it very bothersome to inform the truth then again I’ll certainly come again again. I apologize for any spelling errors. I’m a biochemist. Proofreading is definitely not my forte. Your Secret To Successful Weight Loss?